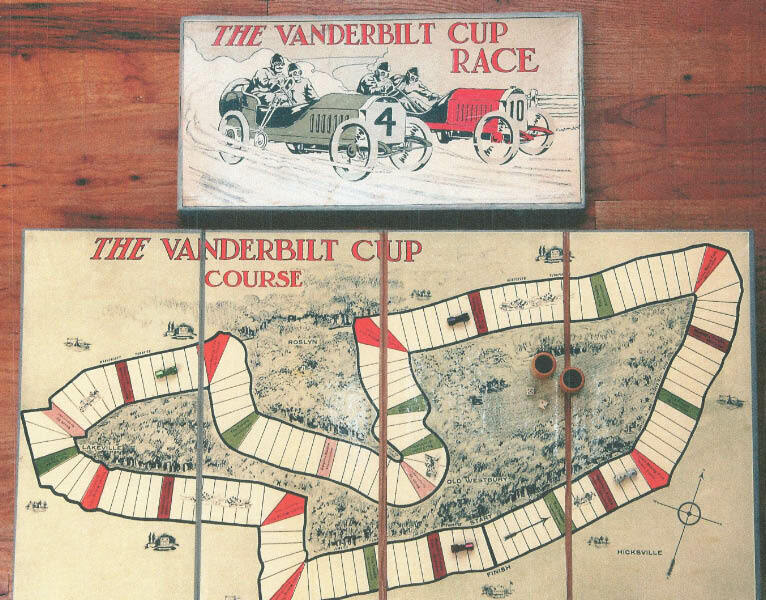 One of my favorite pieces of Vanderbilia that I own is a complete set of the 1907 board game The Vanderbilt Cup Race. 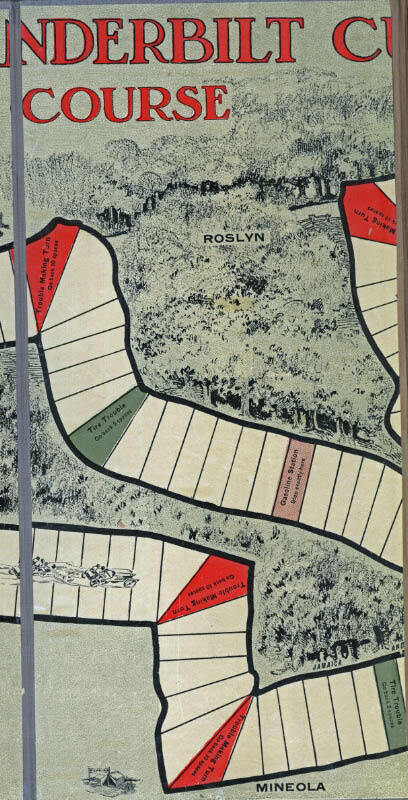 The board game was manufactured in 1907 by Bowers & Hard, located 211 State Street in Bridgeport, Connecticut. It is one of only two board games known to be developed by this company. As noted in America Boxed Games and Their Makers (1822-1992), author Bruce Whitehall considers the game "rare... exceptional quality.. by this virtually unknown company." The box measures 17" x 8 1/2". The board consists of four panels, folding out to 30" x 16". 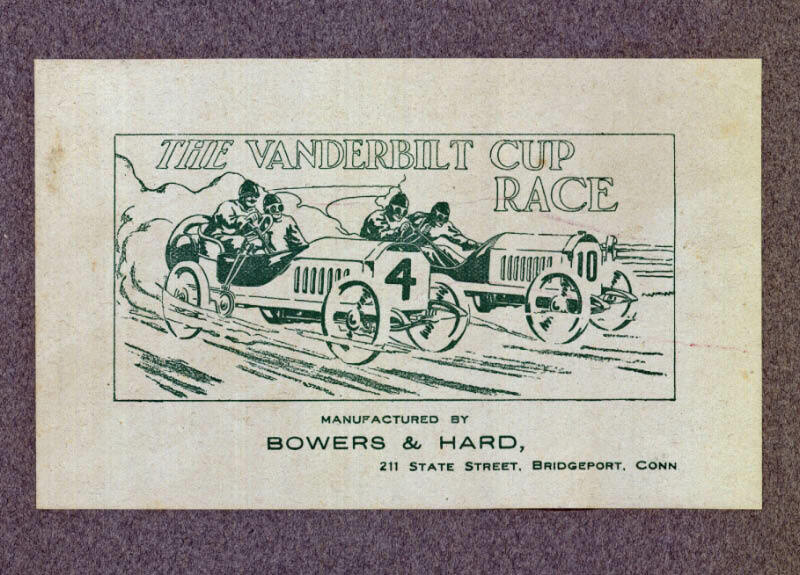 Appreciating the furor for automobile racing which has recently swept this country, the author offers to the public a game in which he claims to embrace all the material features of automobile racing. That sport is most exciting and most uncertain. The mishaps which lose races and often cost lives are principally foretold: 1. tire trouble; 2 machinery trouble; 3. running wide in making turns, causing more or less damage to the machine; and 4. smashups. In preparing this game these facts have been borne in mind and made special features to the game. The uncertainties of the game are therefore just as great as in a real race. 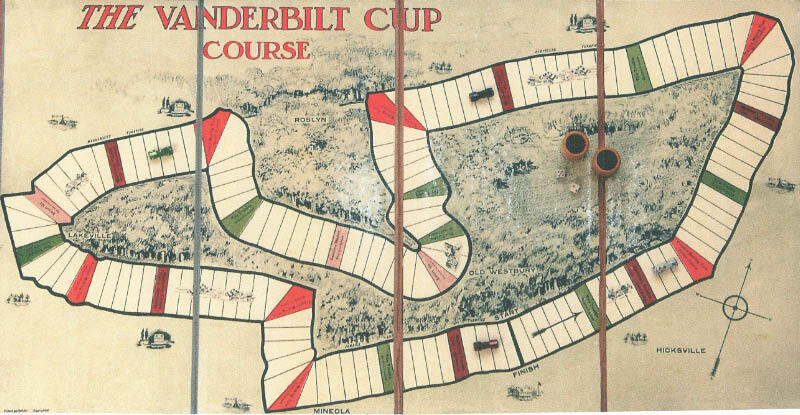 The board reproduced the course for the 1906 Vanderbilt Cup Race, highlighting the villages of Mineola, Hicksville, Old Westbury, Roslyn and Lakeville. 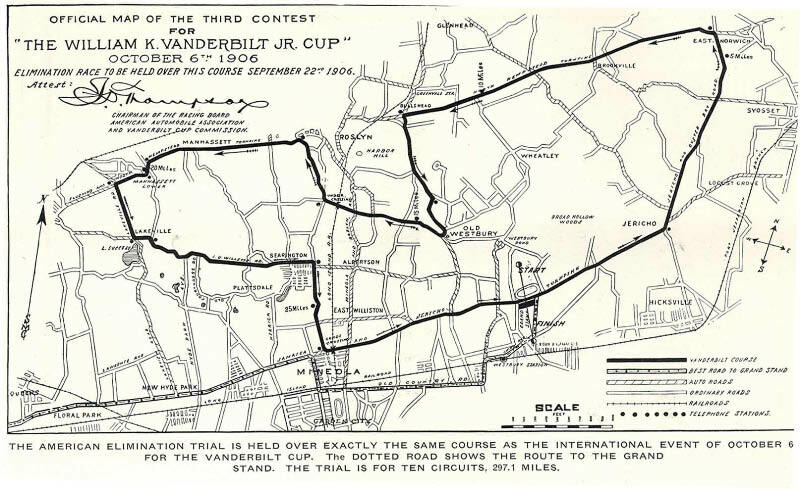 Compare the above board withe the official map ot the "Third Contest of the William K. Vanderbilt, Jr. Cup". 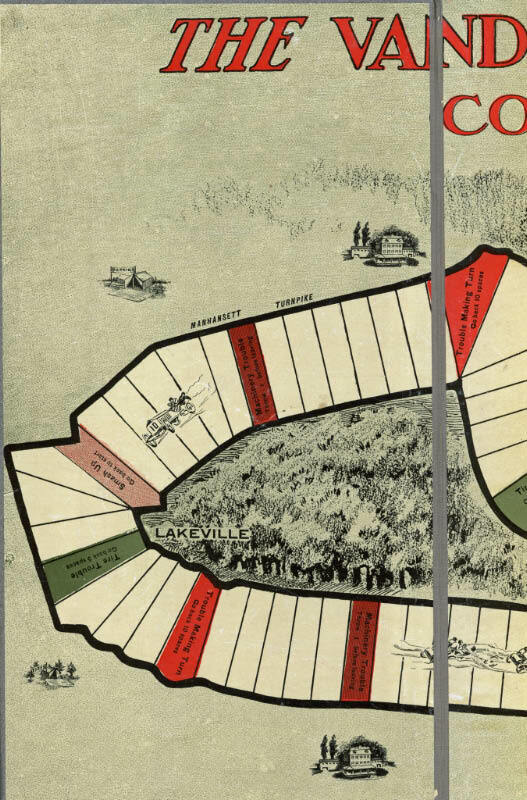 Note the spelling of the "Manhassett Turnpike" was incorrect in both the map and board game. 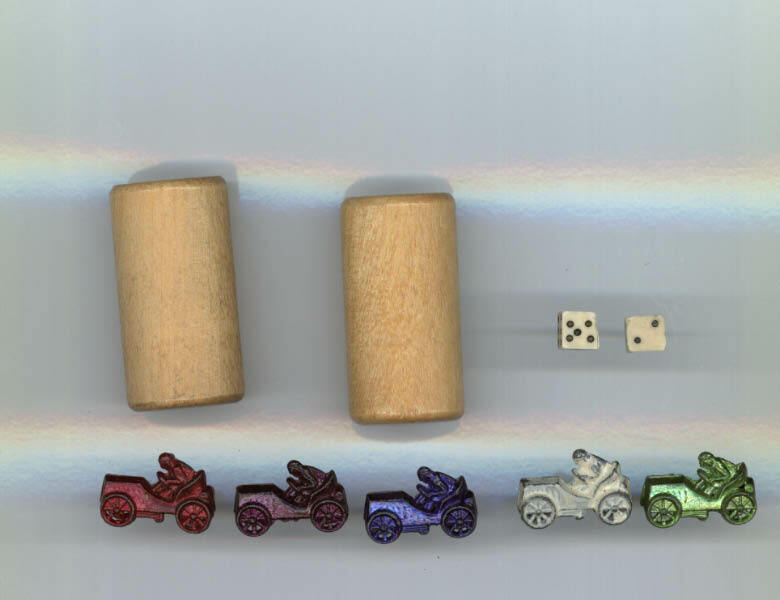 The pieces include five model racers, two dice and two shakers. Roads highlighted: Hairpin Turn, Hempstead Turnpike (should be North Hempstead Turnpike), and Jamaica and Jericho Turnpike. 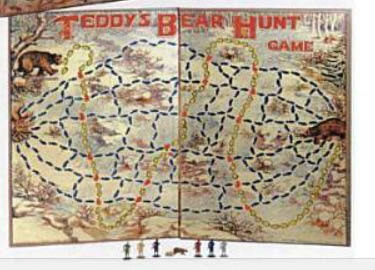 The only other board game manufactured by Bowers & Hard depicted President Teddy Roosevelt tracking and hunting bears. 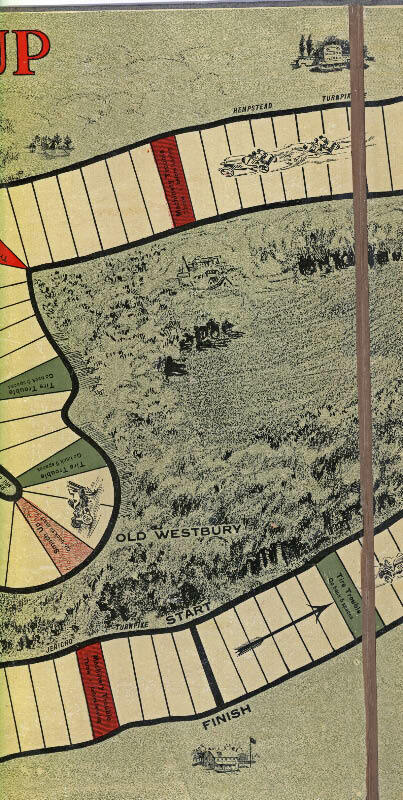 The game was produced in 1907. This is fantastic! Sure wish someone would reproduce it. I have tiny lead race cars slightly similar to this handed down to me from my dad. I’ve always wondered what “game” they might have come from. There was a company called Shackmann’s back in the 70s that reproduced old games and cards and paper toys. they would have been perfect for a reproduction of THIS sort of wonderful play nostalgia. Fabulous game! I would buy one! Howard, That game looks like it would be a lot of fun. 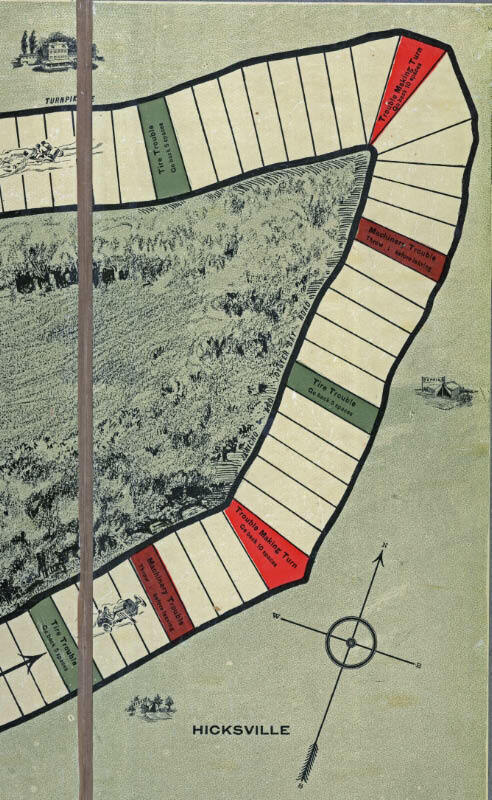 I’ve always loved board games and wonder if it would be popular if it were reproduced. Actually, it would probably only be popular with people of our age. Young people are married to their electonic devices. Thanks for sharing it with us. I have game cards for a Teddy R. Bear hunt game. It appears this game has no cards ? 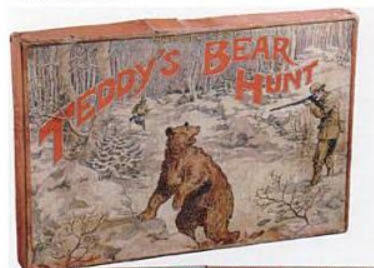 Have you seen any other Teddy R Bear Hunt games? Hi…I just found the board to this game in the attic of our 3-family. There are no game pieces or box, just the board. It’s in perfect condition. I would appreciate any suggestion on what to do with it. Thought I would sell it on eBay, but not sure of value. Thanks in advance for any advice you can pass on. Elaine, great find! 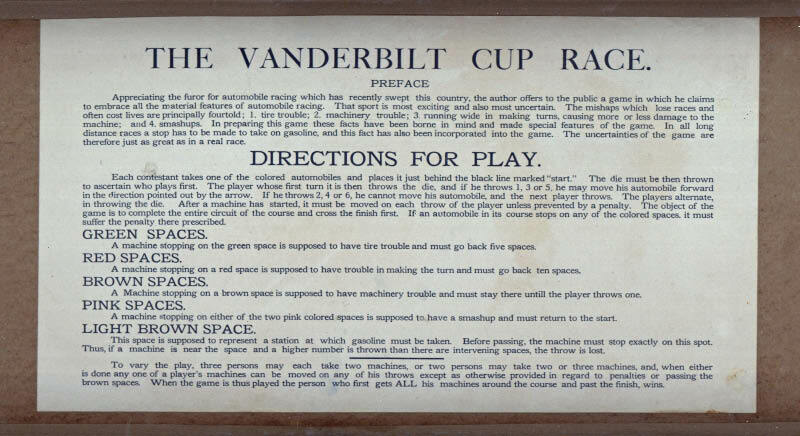 Without the pieces the Vanderbilt Cup Race game board is worth around $250. Oh great-thanks for getting back to me! I’ve enjoyied reading about the game on your blog!